In the continuing push for affordable health care, one of the biggest stumbling blocks is still the confused and error-filled manner in which electronic data is shared among doctors, insurers, hospitals and patients. One solution could be blockchain technology. In the current tangle of incompatible records systems that typifies U.S. health care, incorrect information can creep in when patient data gets re-entered multiple times by doctors’ offices, insurers and hospital staff. Big errors can seriously affect the quality of care that patients receive, small discrepancies can result in wrongful denials of insurance coverage, and errors of all types add to the system’s cost. Blockchain, by contrast, puts patients, insurers and providers all on the same page. With a low-cost and decentralized-ledger approach to managing information, blockchain technology gives all of the parties in the provision of health care simultaneous access to a single body of strongly encrypted data, and it creates an audit trail each time data is changed, helping to ensure the integrity and authenticity of the information. Eventually, blockchain could be used to provide a secure and accurate medical history for every individual patient. MedRec, a blockchain system in development at the Massachusetts Institute of Technology, is designed for patients to be able to manage their own records and give permission to different doctors or providers to access and update the records. With MedRec, if a baby has been given vaccinations by different doctors, for example, all of that information can be accessed from the blockchain, says Andrew Lippman, senior research scientist at MIT and associate director of the MIT Media Lab. 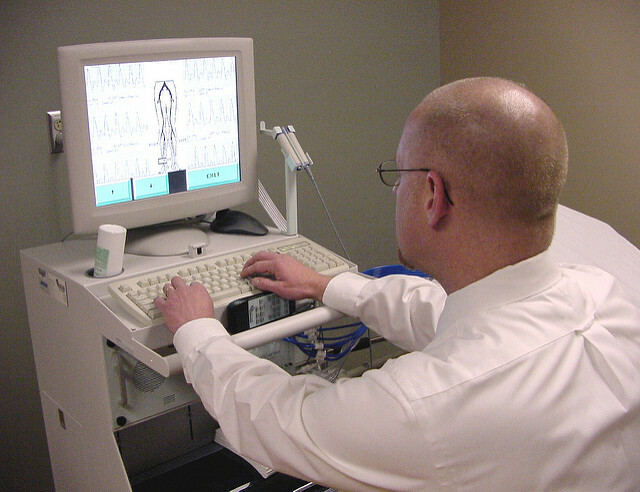 MedRec is testing the system using anonymized data from Beth Israel Deaconess Medical Center. Success of the system—or any similar system—will depend on large numbers of providers and doctors opting in to the program. Other companies in this space are focusing on technical formatting and overcoming compatibility problems between different systems. What is lacking from those efforts, Dr. Lippman says, is a way for consumers to easily and securely access their records and have control of their own records—something that MedRec, by using blockchain, promises to do. While MedRec aims to include all patient health data held by medical providers, other projects are already using blockchain on different pieces of the health-care system—for instance, to improve the insurance-claims process, the accuracy of health-care-provider directories, or the ability to verify doctors’ licensing. In January, Change Healthcare, a Nashville-based health network of 800,000 physicians, 117,000 dentists and 60,000 pharmacies, introduced a blockchain system for processing insurance claims. While not all providers in the system are using it, the shared ledger of encrypted data represents a “single source of truth” for those providers who are, says Emily Vaughn, blockchain product development director at Change Healthcare. All involved parties can see the same accurate information about a claim in real time, rather than having to send data back and forth, says Ms. Vaughn. This relieves a patient from having to call multiple parties to verify information. And each time data is changed, Ms. Vaughn says, a record of it is shown on the digital ledger, identifying the responsible party. Any changes also require verification by each party involved, again enforcing the record’s accuracy. Change Healthcare declines to say how much money it is saving with its blockchain system, which can process roughly 50 million events daily. But according to Ms. Vaughn, the savings will come from eliminating previous efforts required in the reconciling and verifying of data among companies. The company also is exploring building other applications that could run on the system, such as automated processing of claims and new ways to improve the digital verification of patient and provider identities without endangering patient information. Ms. Vaughn says the blockchain system and its decentralized design represent a step up in security. “Because the [data] log is replicated across many computers instead of managed by one central computer, it’s more resistant to attack and manipulation,” she says. Hence it is more difficult for hackers to take over the network. If any one computer is hacked, other separate computers using the blockchain would still have accurate information. Another area where blockchain could be a big help is in maintaining the accuracy of online directories of doctors and other health-care providers. Doctors groups, hospitals, insurers and diagnostic companies all tend to maintain their own online listings of contact, practice and biographical details. But it is expensive and time-consuming for each company to continually check, verify and update the records in its directory. Many insurers, for example, try to verify this data quarterly. A group of companies in April announced a pilot project using blockchain to reduce these costs. The companies are Humana Inc., MultiPlan Inc., Quest Diagnostics Inc., and UnitedHealth Group Inc.’s Optum and UnitedHealthcare businesses. “Each insurance company has their own islands of information with no bridges,” says Mike Jacobs, senior distinguished engineer at Optum, which works on digital and data-based innovations for a range of health-care services. “What this alliance is trying to do is create bridges to allow sharing of that information,” says Mr. Jacobs. One report estimated that it collectively costs $2.1 billion a year to maintain provider directories using current methods. But Busy Burr, vice president and head of health-care trend and innovation at Humana, estimates that 75% of that cost could potentially be saved using blockchain. The goal of the pilot program is for providers to update their information themselves into the blockchain, where it can be viewed by all parties in the network. Every company participating benefits, and there is no proprietary information shared that the firms have to fear their competitors will use. Companies could potentially be fined if information is inaccurate, Mr. Jacobs says. Currently the alliance is focusing on data such as doctors’ address, specialties, phone numbers, and whether they accept new patients. Eventually the group wants to add other critical data, such as doctors’ credentials or state licenses. Along the same lines, the state of Illinois is looking at a way for hospitals, including in other states, to use blockchain to quickly check the licensing status of a provider, a typically cumbersome process. Nashville-based startup Hashed Health developed a proof of concept of this system for the state, but the project needs more funding to be built, says Bryan Schneider, secretary of the Illinois Department of Financial and Professional Regulation.